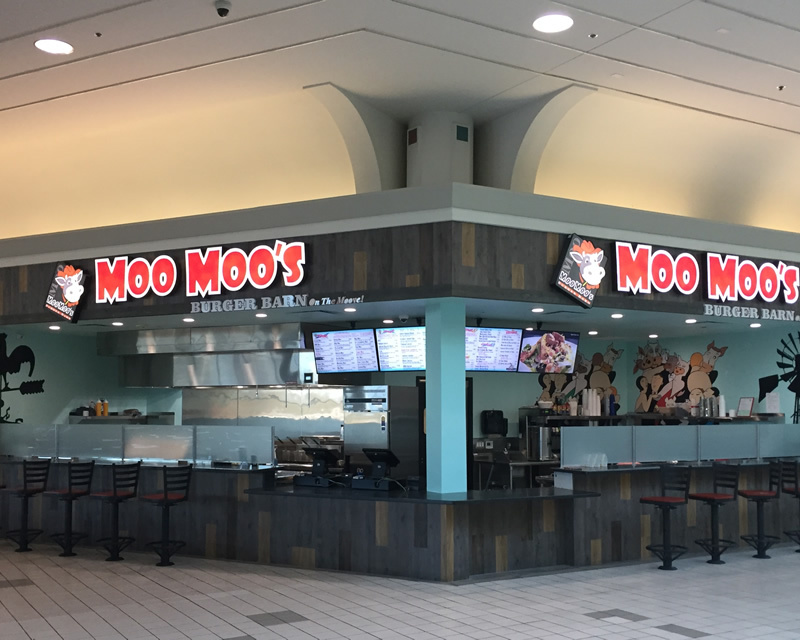 Located in the Food Court of West Valley Mall, our ON THE MOOVE! is our new quick walk-up service format. At this time, we expect to serve almost all of the Burgers, Sandwiches, Salads, Fries and Shakes you are accustomed to ordering at our other locations. The West Valley Mall is strategically positioned off I-205, one of the most heavily traveled thoroughfares in the bustling trade area of San Joaquin County. West Valley caters to a young and affluent customer base by providing a variety of attractive shopping, dining and entertainment options, including a 14-screen movie theatre. Email application to WestValleyMoo@moo-Moos.com or fax to (209) 477-7611.